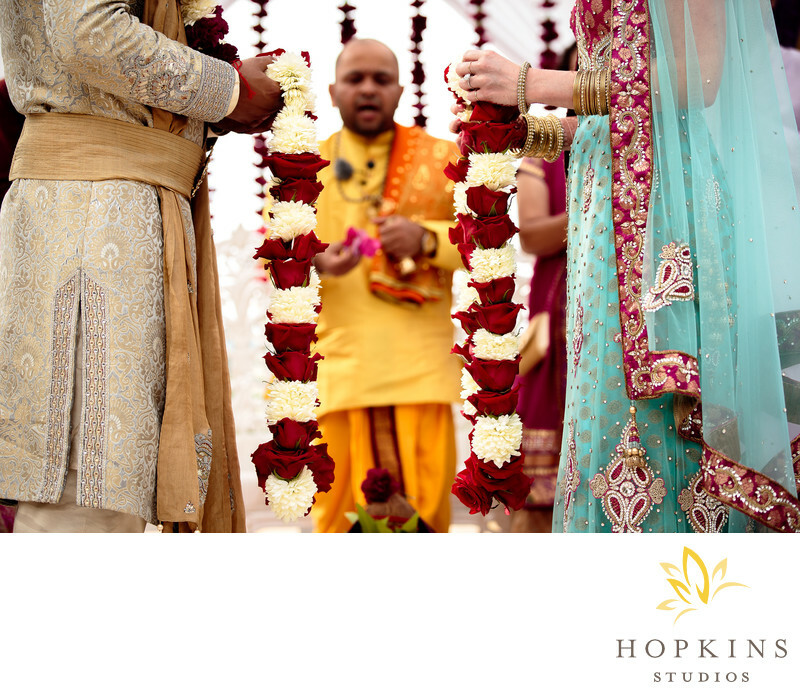 There were so many gorgeous details during Megan and Sonny’s hindu ceremony at the Keswick Vineyards in Charlottesville, Va. Pictured are the garlands exchanged during the var mall ceremony. Following the baraat the bride and groom are moved onto an elevated stage where the ceremony is performed. The bride and the groom exchange their flower garland, by putting it around each other's neck. Megan and Sonny’s wedding has been featured on Maharani Weddings and Wedding Wire. Keywords: Charlottesville Wedding (144), destination wedding (87), destination wedding photographer (156), Indian Wedding (81), keswick vineyards wedding (69), Kewsick Vineyards (18), Maharani Weddings (18), Wedding Wire (84).